You will find below the horoscope of Kirsten Storms with her interactive chart, an excerpt of her astrological portrait and her planetary dominants. If you know the time of birth of Kirsten Storms, we would appreciate it if you would send us your information with your source, at stars@astrotheme.com. To thank you for contributing to the enhancement of our astrological database, we shall be glad to send you the astrological portrait (34 pages) of this celebrity. Horoscopes having the same aspect Moon opposite Jupiter (orb 0°31'): Kim Kardashian, Jodie Foster, François Hollande, Bruno Mars, Jeff Buckley, Steven Seagal, Kate Hudson, Ronald Reagan, Shailene Woodley, James Spader, Marvin Gaye, Laurent Baffie... Find all the celebrities having this aspect. Celebrities clicked on in real-time: 576,031,690 times. Storms was born in Orlando, Florida. She is the daughter of Mike (a sportscaster) and Karen Storms (who is a successful acting coach and teacher, www.stormsacting.com). She has a younger sister named Gretchen and an older brother named Austin ( an Army paratrooper/medic). Here are some character traits from Kirsten Storms's birth chart. This description is far from being comprehensive but it can shed light on his/her personality, which is still interesting for professional astrologers or astrology lovers. 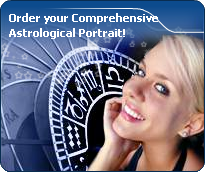 In a matter of minutes, you can get at your email address your astrological portrait (approximately 32 pages), a much more comprehensive report than this portrait of Kirsten Storms. Warning: when the birth time is unknown, which is the case for Kirsten Storms, a few paragraphs become irrelevant; distributions in hemispheres and quadrants are meaningless, so are dominant houses and houses' accentuations. Therefore, some chapters are removed from this part. The predominance of Water signs indicates high sensitivity and elevation through feelings, Kirsten Storms. Your heart and your emotions are your driving forces, and you can't do anything on Earth if you don't feel a strong affective charge (as a matter of fact, the word "feeling" is essential in your psychology). You need to love in order to understand, and to feel in order to take action, to the detriment of a certain vulnerability against which you should learn to fight. Kirsten Storms, Fire is dominant in your natal chart and endows you with intuition, energy, courage, self-confidence, and enthusiasm! You are inclined to be passionate, you assert your willpower, you move forward, and come hell or high water, you achieve your dreams and your goals. The relative weakness of this element is the difficulty to step back or a kind of boldness that may prompt you to do foolish things. Kirsten Storms, the Cardinal mode is dominant here and indicates a predisposition to action, and more exactly, to impulsion and to undertake: you are very keen to implement the plans you have in mind, to get things going and to create them. This is the most important aspect that inspires enthusiasm and adrenalin in you, without which you can grow weary rapidly. You are individualistic (maybe too much?) and assertive. You let others strengthen and improve the constructions which you built with fervour. After this paragraph about dominant planets, of Kirsten Storms, here are the character traits that you must read more carefully than the previous texts since they are very specific: the texts about dominant planets only give background information about the personality and remain quite general: they emphasize or, on the contrary, mitigate different particularities or facets of a personality. A human being is a complex whole and only bodies of texts can attempt to successfully figure out all the finer points. Affectivity and intuition are very developed, Kirsten Storms, and you are very sensitive to your environment. You “feel” atmospheres, moods and other people's emotions and when you capture negative influences, a feeling of ill-being immediately overwhelms you, all the more so because your lively imagination may destabilize you as it amplifies your receptiveness. Your nature is anxious and you tend to worry for your entourage. You strive to offer them a reassuring family atmosphere, the much needed comforting and warm sort of cocoon where you can laze around, at will. Because you care so much for your family, they may think that you are intrusive and that you try to rule their life through subtle affective blackmail. Trust them... and also learn to have more confidence in yourself! Your mind is calm and balanced; even though you assimilate slowly, your memory is remarkable. Your judgment is based on reflection and reason and draws on past experiences. Kirsten Storms, you are a good adviser, a reliable person whom people can confide in discreetly. You are full of good sense, cautious, methodical and disciplined and you are able to carry many good projects to a successful conclusion. You are very opinionated and determined in your actions. However, your tendency for intolerance and prejudices may offend your entourage. They wish that you exercised more flexibility instead of systematically refusing what cannot be immediately checked. You usually express yourself with a lot of charm and this is what allows you to get people to better accept your well-established habits. Love at first sight, flash in the pan, amorous impulsiveness? All these are part of your way of loving or to fall in love, Kirsten Storms. Throughout your relationship, you maintain this kind of jerky and lively style, that may seem childish or naïve, but that is so generous and cheerful! You are undeniably possessive and you are not concerned with your partner's opinion but, fortunately, you readily forgive because of your spontaneity and your authenticity. When your relationship is intense, everything is fine. There is no romanticism, no complications with you. You love with ardour and, except for a few crazes and opportunities for new pastures here and there, the only danger may be that boredom settles in. In that case, you leave without regret and you quickly forget what consumed you, not so long ago. Your iron will is part of your assets, Kirsten Storms. It is supported by an ingenuity and a skilfulness that may turn you into a mighty and feared personality. You have the knack of spotting weaknesses in persons you deal with and you can easily hurt them with your innate propensity to drill or to test their force. You are extremely stubborn and you never let go when you are convinced that you are right. Sexually, you are potent and passionate. You are domineering and secretive, with a magnetic personality. It is safer to avoid being taken in a conflict with you because you may be very aggressive and you bear grudges. In some cases, you may also be sadistic. Your personality is as secretive as it is domineering in the areas of action and sexuality. This text is only an excerpt from of Kirsten Storms's portrait. We hope that it will arouse your curiosity, and that it will prompt you to deepen your knowledge of astrology, as well as to visit and use the wide range of free applications at www.astrotheme.com.